As well as being a new dad, Ross McCulloch splits his time between his role as Development Manager with Relationships Scotland Family Mediation South Lanarkshire, Digital Media Manager with Relationships Scotland National Office and running social media consultancy Third Sector Lab. 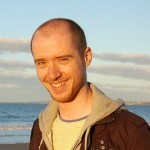 Ross has previously worked in community planning, education and employability. He is passionate about social media for social good, working with various third sector organisations on website development, social media strategy and training. Ross is also the founder of Be Good Be Social – bi-annual events in Edinburgh, Glasgow, Toronto, Amsterdam and Manchester bringing together charities and social entrepreneurs who want to change the world with social media. Ross is a keen mountain biker but wishes he had the time to get better at it!